The team from the Tasmanian CircusFest pulled together another great, family-friendly weekend of camping and spectacular acts. 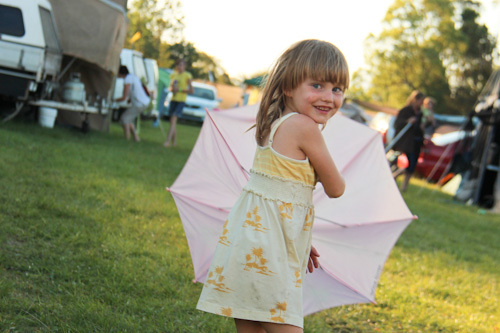 The Mullumbimby Circus Festival was held after a week-long program of training for those interested in developing their circus skills, and based on the fun we had in Tasmania, we booked in for the weekend as soon as tickets were available. 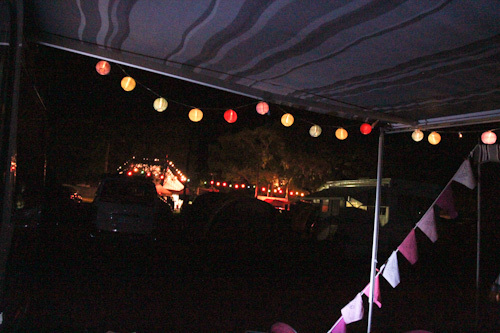 The colourful lamps that hang from our bus' awning is mirrored around the tents and pavilions at the circus grounds. I remember organiser Tony Rooke introducing circus performers in January. He explained that some of these acts had been developed on-site and were for our viewing pleasure, not for Youtube viewers or necessarily even a wider audience. Following in the spirit of his intention, at this CircusFest I left the camera back at our bus and enjoyed the performances without thinking about how to record the moment. The girls’ attraction to CircusFest was in the likelihood of seeing some of their friends again. We parked alongside Alice and Satria and the Lethbridges stopped their bus just behind us. The kids were free to roam from the camping area to the arena to see whatever shows they were interested in. I also loved catching up with other friends — some of whom live in the area — who came for the festival. Left to free range, the girls love playing in and around the busy camp ground. All the tents, caravans, vans and motorhomes are lined up nicely, and we're very close to caravan sprouting a tall flag, so it's easy to find the way back to our bus. 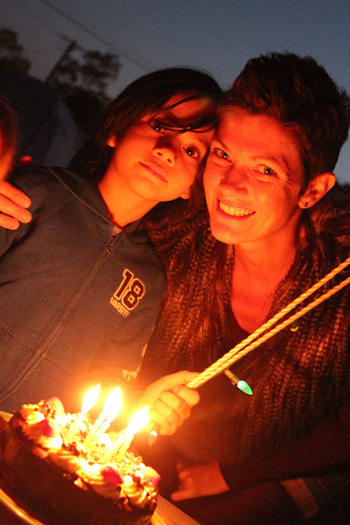 We're so happy to once again be camping alongside our beautiful travelling friend Alice and her son Satria and to help her celebrate her fortieth birthday camping-style! 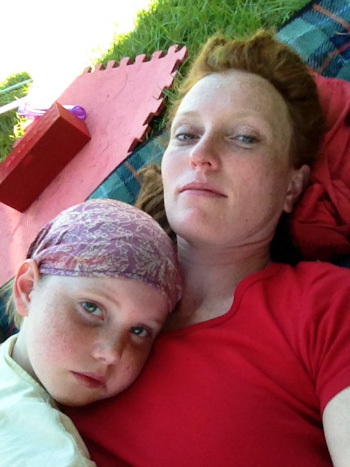 In contrast to the business of the circus, our camp is relaxed, and I'm enjoying lots of cuddles from my girls. My favourite show at Mullum CircusFest was the adults-only Blue Show which happened late on Saturday night and featured a variety of bizarre and hilarious acts. The highlight for the girls (apart from their friends) was probably the $3 frozen mango cups from a vendor who was parked close enough to our bus for even Lana to scrounge change and make her own delicious purchases! The next Australian Circus Festival will be in Western Australia in January 2014. I don’t think we’ll be back over west by then, but if there are any families who will be in that general area, it’s highly recommended that you keep an eye on their website so you don’t miss out on tickets when they go on sale!